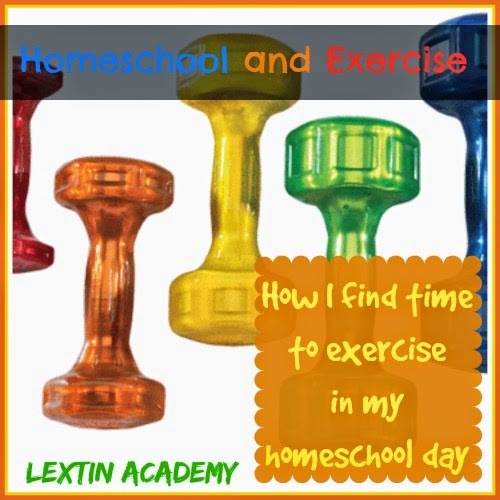 Do you wish you had time to workout, homeschool mom? Or do you wish you had the motivation to actually want to work out? I’ve been there. However, I’ve finally been consistent with an exercise plan. Want to see how I fit in my workout in my over crowded day? First, let’s talk about why I decided I had to make an exercise routine a priority in my schedule. I was always tired, really, really tired. Yes, I’m a homeschool mom to 5 little people, but I was watching them run circles around me while I dreaming of a nice soft bed. Also, I really hated how I looked in my jeans. Vain, I know. But it was just discouraging and it did bother me. I didn’t feel comfortable in my own skin. Ohh, and I was developing a very bad late-night snack habit that was not doing me any favors. So, my goals were to find more energy, wear those cute jeans hanging in my closet, and kick my snack habit to the curb. This was my problem! Do I want to get up at 4:30 and workout? Ummm……no! Absolutely not! You can forget that! 5:30 am is plenty early for me. Do I want to workout during the day while the kids are awake? Nope, on that answer too! My kids are too little to be left to their own devices for very long and they would interrupt me constantly – of this I was certain. Or, the littles might refuse naptime one day and then where would I be? Plus if I worked out mid-day, when would I shower?? Gross! Do I want to workout at night? Not really…..but this was my best option. I set my workout time at 9 PM initially but I found that was too late for me. By the time I was done and showered it was past 10 PM and I was asleep on my feet – without getting any blogging, reading, or housework done. Not good! So, I moved my time up to 8 PM. Little Punkin would be in bed by this time. However, the problem with this time is that the big kids don’t go to bed until a little after 8:30. I didn’t want them to interrupt my workout time every 5 minutes, so I came up with a plan. So to fit in my workout time, we do all the bedtime routine things a little early – the baths, the teeth brushings, the jammies, the reading…..it’s all done before 8 PM. From 8:00 – 8:30 is their art time. I have numerous art DVD’s in our homeschool collection. The kids are working through them one at a time. I make sure I have all the supplies on hand for the week and then I get the art table ready every evening. I put in the new DVD, show them what supplies they need, and hit play. Then I run downstairs to get in my workout while they create. They can work on the projects independently and they are able to help each other. The DVD’s give them all the guidance they need. It’s a perfect way for me to keep them entertained and also keep their hands busy. Once I’m done with my workout, I run back upstairs to see their art. Then I tuck them in bed before I head downstairs for my shower. Other things we’ve done during the kids “evening time” are letting them play computer games or iPad apps. They’ve also had game nights where they played games together or even worked on a puzzle. Other nights they had a movie night and watched a short show. They look forward to their extra play time after they’re ready for bed. They know that they need to stay upstairs until I come to tuck them in. I even set the timer for them. So, they have learned that when it beeps they can expect me to be coming up the stairs soon for bed time. And where is my hubby during all this time, you may ask? Well, he’s been working out with me!